Yuka was born in Japan and has lived in England for the past nine years. 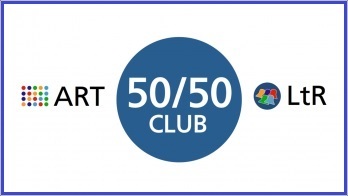 Having completed her Learning the Ropes Level 5 in 2017, Yuka was awarded the 2018 Learning the Ropes Achievement Award at the ART Conference. 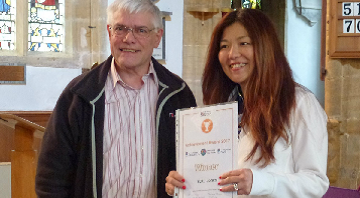 Yuka was presented with the Award and prize money at the Bath & Wells AGM in Chard. 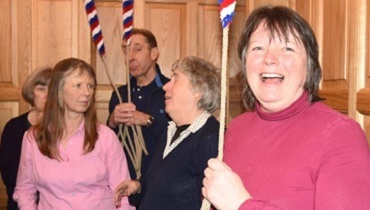 A week’s bell ringing training and practice for some of the locals who had signed up to become part of the band at St George’s Memorial Church in the centre of Ieper. Built in 1928 out of the ruins of Ieper after the First World War, the church had a tower with no bells until a new ring of eight was finally installed in 2017 in time for the centenary of the Armistice. All that remained was to find and train ringers for them.